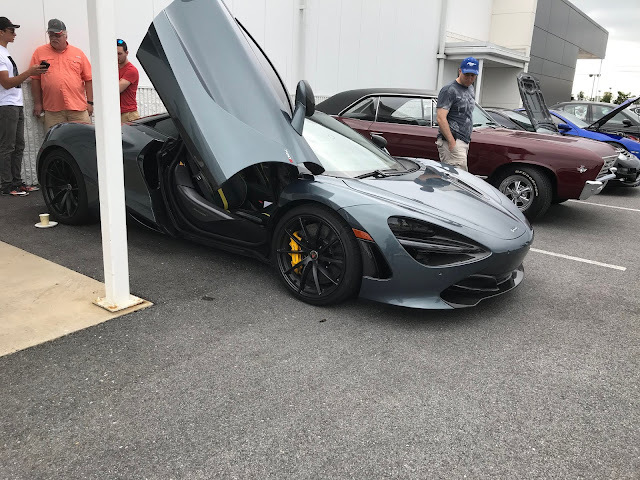 Over the weekend I attended a car event with the hubs and since he's into cars he's always attending all kinds of events in the Harrisburg area. 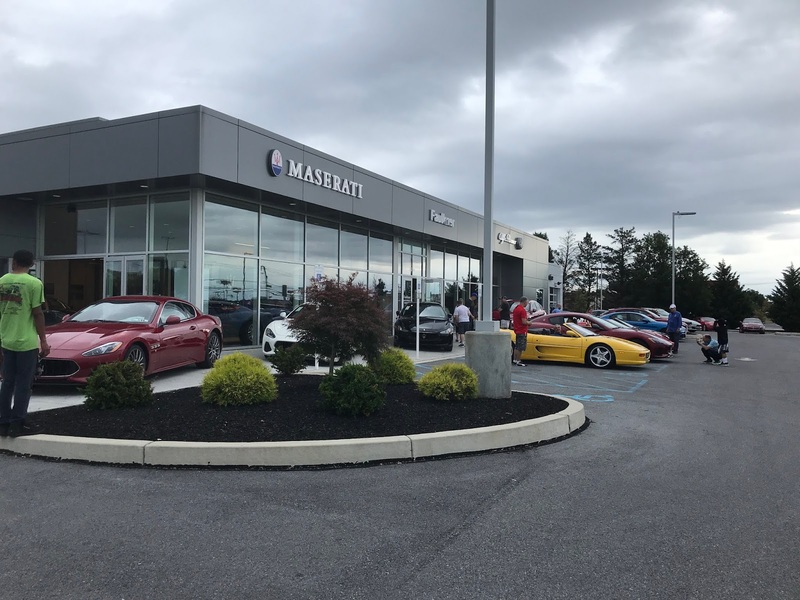 This time it was Cars & Coffee at Faulkner Alfa Romeo Maserati of Mechanicsburg. At this type of event, guests are invited to bring their car and share their enthusiasm for cars with other enthusiasts over coffee and breakfast. 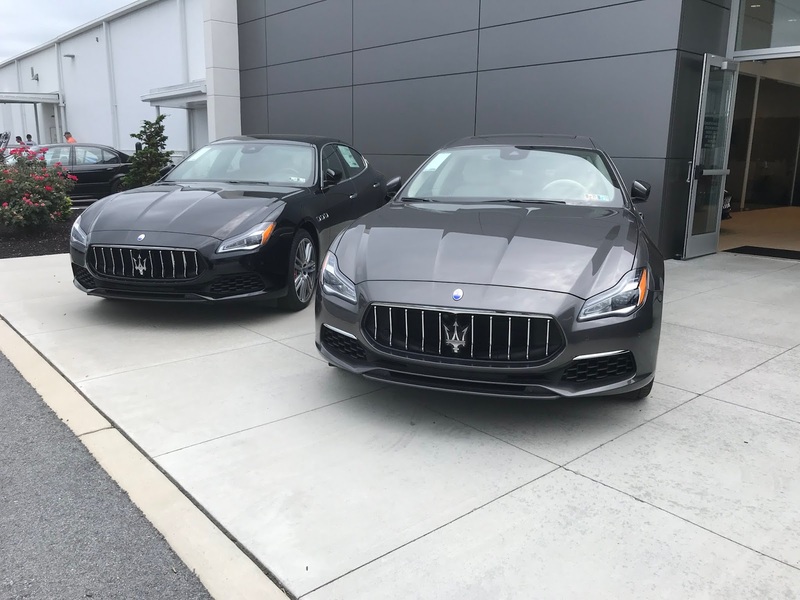 The Facebook invite even said that test drives in Maseratis and Alfa Romeos would be offered for those interested! Food was provided by Helena's Chocolate Café & Creperie in Carlisle. 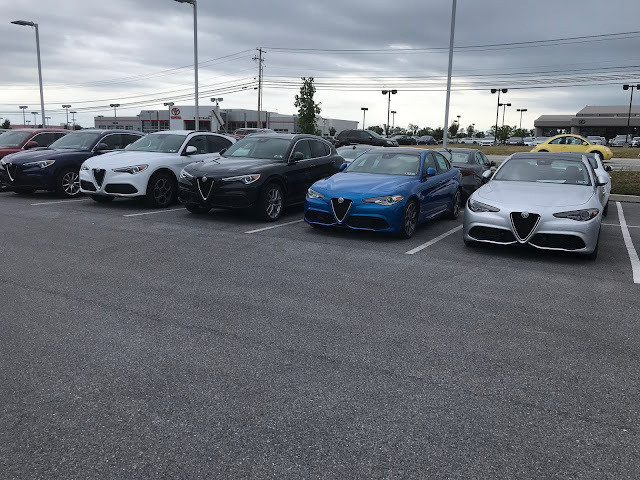 It was really cool to see all the nice cars that the dealership had as well as the cars driven by all of the attendees. 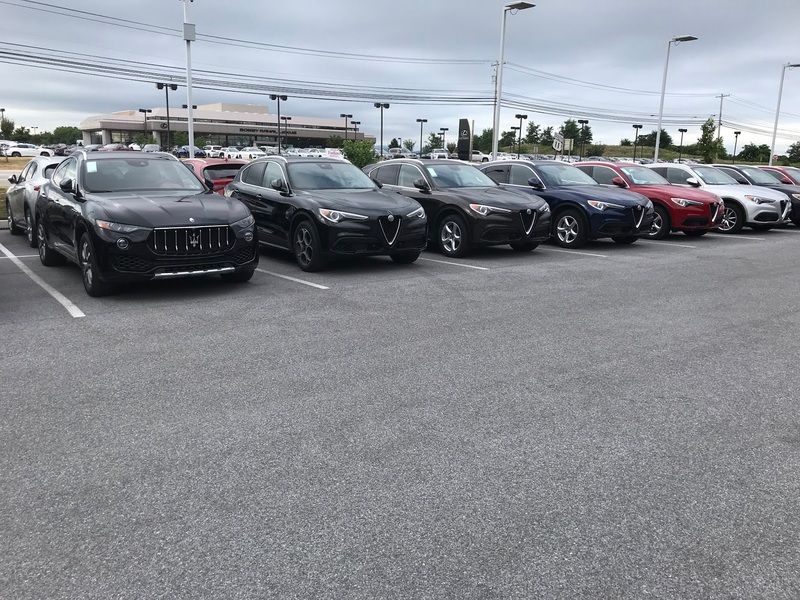 The lot is very well maintained and the staff were super friendly to all of us in attendance. 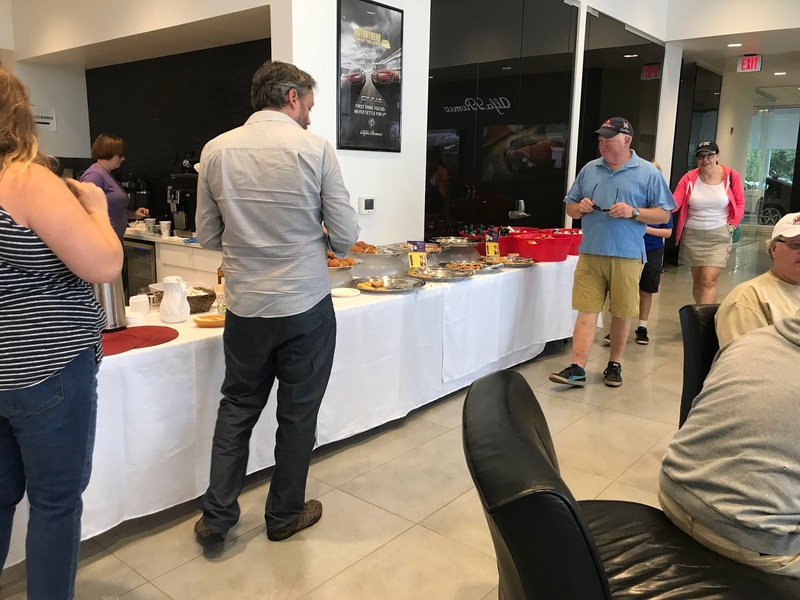 There were all types of cars there for the event which was really neat to see and the breakfast spread was delicious! 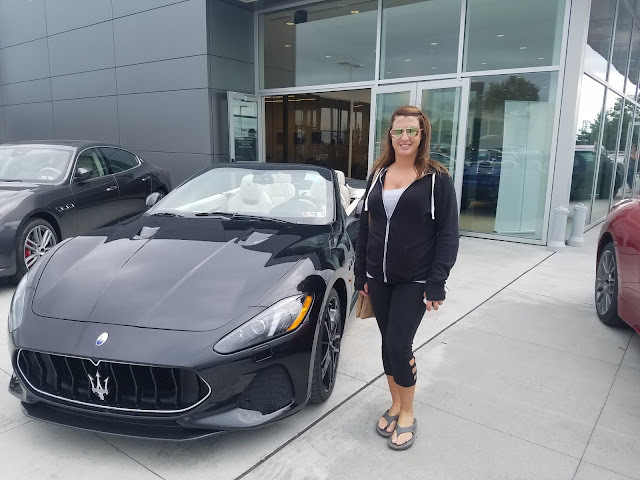 So yea, I casually enjoyed macarons while shopping for a new car (Yea, right!) and taking pictures as if I knew what I was doing. 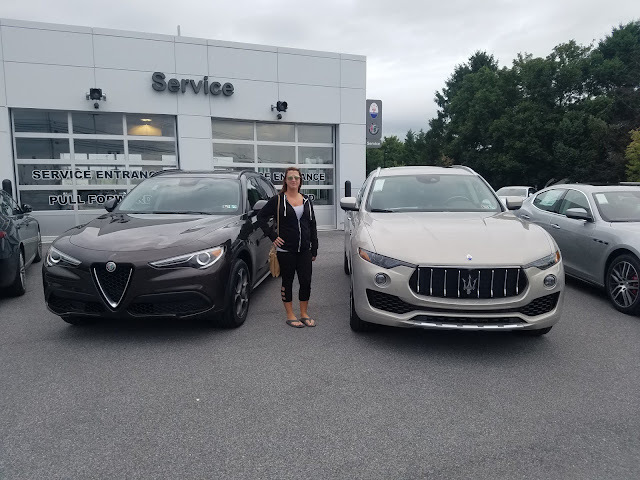 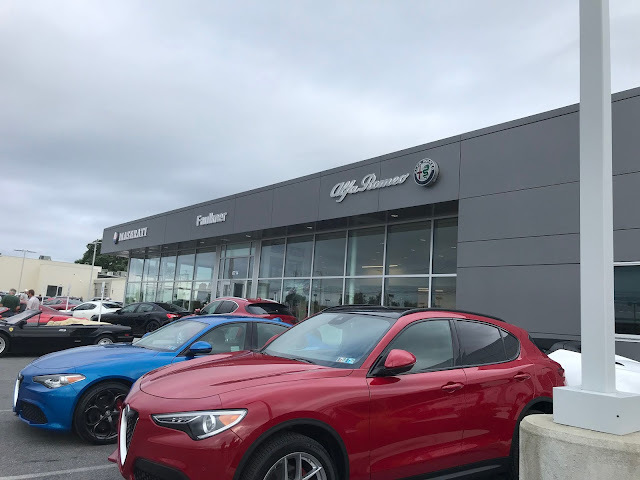 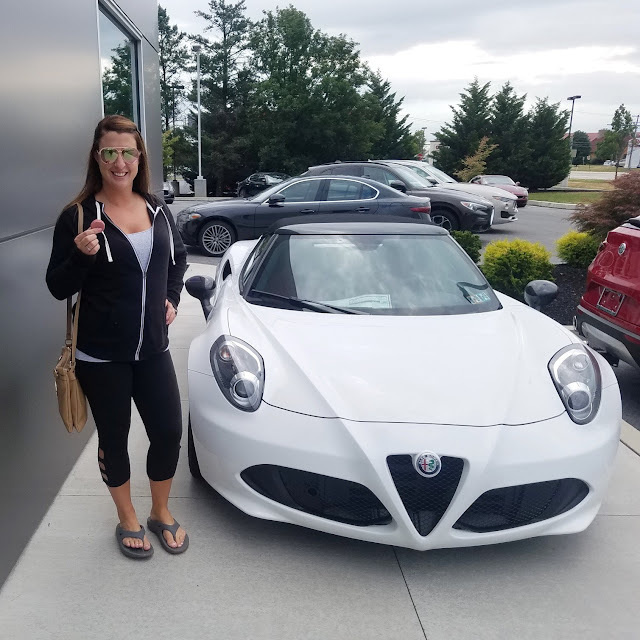 If you guys happen to be in the market for a nice car, definitely check out Faulkner Alfa Romeo Maserati of Mechanicsburg!